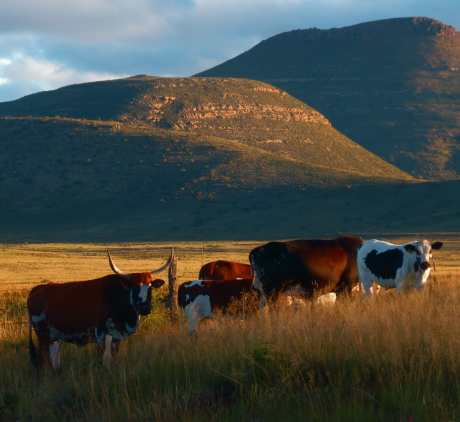 Much is written on the Karoo, but still today many don’t actually realise what this region embraces, in spite of the many books published on South Africa’s heartland. My most recent personal experience was probably my most memorable, certainly in recent years. Sneeuberg Nature Reserve is situated in the Sneeuberg Mountains water catchment area with altitudes that vary between 1550 and 2000 meters above sea level. Here you will find green plains and mountains of spectacular beauty with abundant water. Within easy reach of the historic town of Graaff-Reinet, and close to the village of Nieuw Bethesda, made famous by Helen Martin’s Owl House, much of the reserve used to be farmed by stock farmers. ‘Gordonville’ the farm I was fortunate enough to visit, now forms part of the Compassberg Protected Environment. This pioneering development is geared to protect environments of specific natural importance and beauty, in partnership with the owners of the land, and protects the land from excessive development, mining and drilling for oil and gas. Here I saw an assortment of indigenous game, enjoyed rewarding birding and marvelled at the sight of some 400 Nguni cattle roaming the entire area. 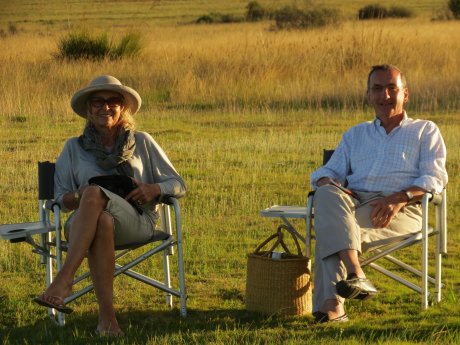 The fortunate thing is that you too can enjoy this thanks to ‘Gordonville’ owners Derk Blaisse and Charlotte Daneel. Their home on the property is named ‘Gordonville’, an impressive Herbert Baker style house, built in 1925 and lovingly and artfully restored. I stayed in ‘Kliphuis’ a self catering, fully serviced guest lodge, located in the most scenic and tranquil setting. Kliphuis has been magnificently restored from the ruin it was, into an impeccably equipped and stylishly decorated and furnished option for up to 8 guests. The sheer comfort, thoughtful amenities and everything that has been embraced by the modest yet legendary Charlotte Daneel, must make this one the most desirable hideaways in the country. Happily too, there are other options at Gordonville too – ‘Karoo Cottage’, an old stone cottage which has been renovated to sleep 6 guests, also self catering and a charming option, again equipped with absolutely everything you might need to enjoy your time in the beautiful surrounds. The newest option on offer, is ‘The Poplars’, an old farmhouse, close to ‘Karoo Cottage’ (so that one can combine the two if you have a larger group of family or friends travelling), restored to accommodate up to 10 guests on a self catering basis. Here you can relax enjoying the many books and magazines that are in each property, whilst mountain trails have been created for 4 x 4 driving, mountain biking and hiking, and horseback riding is an option too. 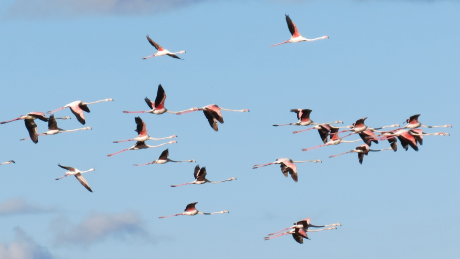 My lasting memory will be sitting beside one of the dams on the property enjoying the beauty of flamingos in flight, in this extraordinary environment. As you might guess, I cannot wait to return!